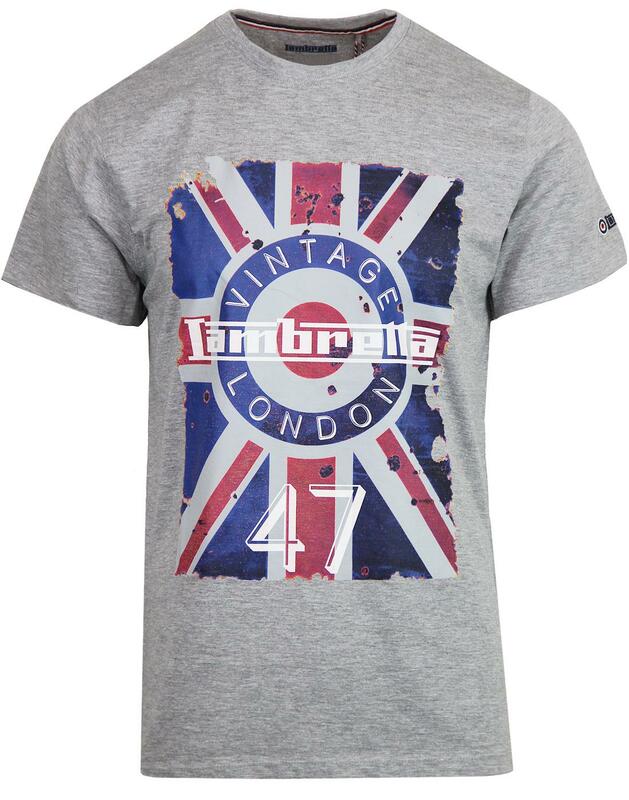 Lambretta men's retro Union Jack flag print t-shirt in grey marl. The classic crew neck t-shirt with vintage distressed logo print to front that incorporates the iconic mod target motif and retro 1960s style union jack backdrop. The T-shirt is finished with iconic Lambretta signature details. The Lambretta Mod Target Union Jack flag t-shirt also features retro stripe tape inner back neck trim. 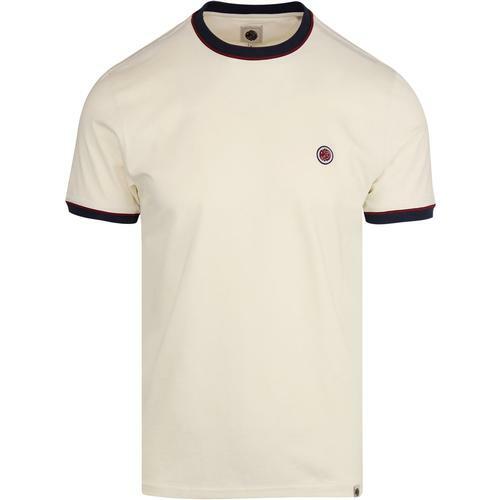 A fab casual mod t-shirt from Lambretta. Packed with 60s Pop Art style! - Lambretta men's mod target Union Jack flag t-shirt in grey marl. - Mod target detail with retro 60s Union Jack surround. - Lambretta retro inner back neck stripe tape trim. 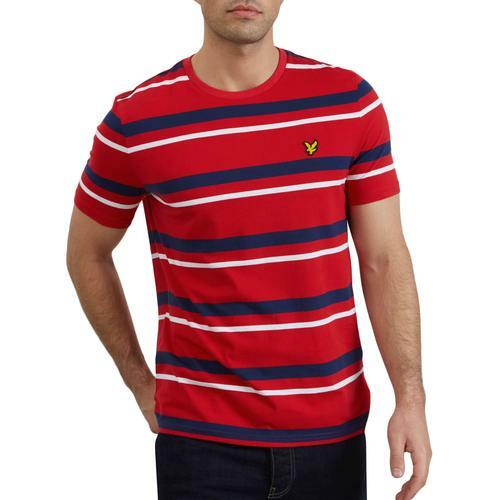 - SKU: SS3813 Mod Target Fag T-shirt.